Psychotropic drugs, especially antidepressants and antipsychotics, may give rise to some concern in clinical practice because of their known ability to reduce seizure threshold and to provoke epileptic seizures. 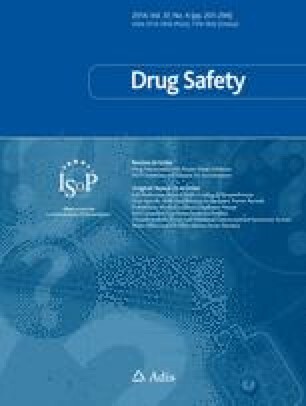 Although the phenomenon has been described with almost all the available compounds, neither its real magnitude nor the seizurogenic potential of individual drugs have been clearly established so far. In large investigations, seizure incidence rates have been reported to range from ∼0.1 to ∼1.5% in patients treated with therapeutic doses of most commonly used antidepressants and antipsychotics (incidence of the first unprovoked seizure in the general population is 0.07 to 0.09%). In patients who have taken an overdose, the seizure risk rises markedly, achieving values of ∼4 to ∼30%. This large variability, probably due to methodological differences among studies, makes data confusing and difficult to interpret. Agreement, however, converges on the following: seizures triggered by psychotropic drugs are a dose-dependent adverse effect; maprotiline and clomipramine among antidepressants and chlorpromazine and clozapine among antipsychotics that have a relatively high seizurogenic potential; phenelzine, tranylcypromine, fluoxetine, paroxetine, sertraline, venlafaxine and trazodone among antidepressants and fluphenazine, haloperidol, pimozide and risperidone among antipsychotics that exhibit a relatively low risk. Apart from drug-related factors, seizure precipitation during psychotropic drug medication is greatly influenced by the individual’s inherited seizure threshold and, particularly, by the presence of seizurogenic conditions (such as history of epilepsy, brain damage, etc.). Pending identification of compounds with less or no effect on seizure threshold and formulation of definite therapeutic guidelines especially for patients at risk for seizures, the problem may be minimised through careful evaluation of the possible presence of seizurogenic conditions and simplification of the therapeutic scheme (low starting doses/slow dose escalation, maintenance of the minimal effective dose, avoidance of complex drug combinations, etc.). Although there is sufficient evidence that psychotropic drugs may lower seizure threshold, published literature data have also suggested that an appropriate psychotropic therapy may not only improve the mental state in patients with epilepsy, but also exert antiepileptic effects through a specific action. Further scientific research is warranted to clarify all aspects characterising the complex link between seizure threshold and psychotropic drugs. The authors received partial support for 60% of the costs of the article from the University of Messina; no conflicts of interest.